Record Store Day is almost here! Check out these mouth-watering limited, exclusive 45s... remastered Zappa single available on vinyl for the first time in 40 years; Pink Floyd on pink wax; an amazing David Bowie "Drive-In Saturday" picture disc; and the Rolling Stones 5x5 EP, re-pressed for the first time since 1964! You're gonna have to line up early for these. See you on Saturday for RSD13! Download our menu (.pdf) of exclusive Record Store Day titles available on April 20, 2013. See our list of events and happenings at all three stores on RSD. One of the greatest guitar bands ever finally delivers a new album after 22 years of false starts and promises. If you're looking for another Loveless, move on. mbv is its own beast. It's an acquired taste, just like the rest of their records, starting with a familiar, melodic first third; turning to a more ethereal and beat-driven middle third, featuring Belinda Butcher's ever-heavenly vocals; and finishing with a punishing, noise-rock final third that explores the extreme scope of Kevin Shields' mangled-guitar sound. Within this scope, mbv delivers as many moments that will challenge its cult following as well as delight them. Opener “She Found Now” is as classic My Bloody Valentine as the album gets, with a soft focus wash of guitar sound, a gentle pulse of drums relegated to the background and whispered vocals lapping overhead, achieving a similar feel to Loveless’ “Sometimes.” “Only Tomorrow” aims for the gut, with chainsaw guitars not unlike those found on Isn’t Anything, which in retrospect rivals Loveless for innovative sound. The songs aren’t exactly poppy, but they offer new, thrilling hooks — the way the guitars halt like a bullet train at full speed suddenly stopping in “Only Tomorrow” ranks high in the band’s moments of pop mastery. “Who Sees You” rounds out the album’s first third with scenic, shiver-inducing guitars that shame any followers in their wake — plenty of bands have dissected the My Bloody Valentine guitar sound, but few have been able to wield it in the unconventional, multidimensional ways Shields does, turning odd directions, doubling back and somehow coming together in a way that can’t be fully comprehended at first, but is eminently intoxicating. The record gets progressively more difficult from there, but fans will grow to love songs like the watery “If I Am” and especially the bouncing “New You,” a shoegaze pop song in the proud tradition of Loveless’ “Soon” with a heavy fuzz-bass thud that knocks you flat. “In Another Way” grinds its guitars into a blender of sounds that emerges with a sweet, instrumental portion that sends the song sailing. “Nothing Is” loops brutal, chugging guitars with a heavy jungle beats that doesn’t relent for three-and-a-half minutes, leading into closer “Wonder 2,” which sounds like the inside of tornado. 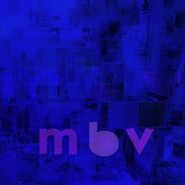 With spiraling arrangements that draw you in on multiple listens, mbv is subtly rewarding and offers new revelations with each listen. Photographer Alec Byrne has been covering rock music since 1960s London, starting when he was just 17 years old. Over the next 10 years, he photographed everyone from The Beatles, The Rolling Stones, Jimi Hendrix, The Who, David Bowie, and Mott the Hoople. Bryne's archive of 50,000 images has mostly been in storage for the last 40 years and has never been seen by the public. You can view some of these amazing photographs and meet the photographer himself one night only, December 1, at Smashbox Studios in Culver City. Admission is free and you can RSVP here. Amoeba is proud to sponsor this incredible event, along with LA Weekly, Uber ARCHIVES, KCRW, Smashbox Studios, and BowHaus. A pre-sale for limited edition archival quality prints will begin December 1, but you can buy limited edition show catalogs and lithographs online now. Find out more about this one-night only exhibition.